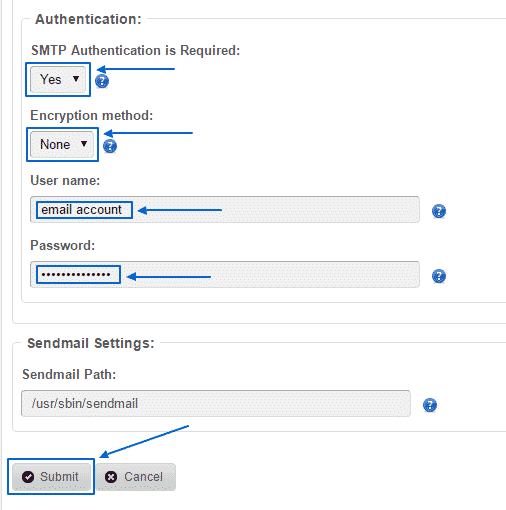 How to configure CMS Made Simple email settings? How to reset the admin password in CMS Made Simple? How to install CMS Made Simple automatically? How to transfer CMS Made Simple from another server? How to upgrade CMS Made Simple? How to install CMS made simple manually? How to create a backup of CMS Made Simple? How to enable pretty URLs in CMS Made Simple? How to change themes in CMS Made Simple? How to install new themes in CMS Made Simple? How to manage users and groups in CMS Made Simple? How to create global content block in CMS Made Simple? How to add new pages in CMS Made Simple? There are multiple functions that are available with the CMS Made Simple software. One of them is the usage of emails. Have in mind that when you initially install the script, your platform will be automatically configured to use the phpmail function when sending emails. If you instead want to use SMTP as a more reliable method, you can easily do that and in this section of the CMS Made Simple tutorial we are going to show you how to do that. CMS Made Simple is not right for you?